It's important to know about the history of forensic psychology because as with any other discipline, it didn't develop in a vacuum; and you need to have some sense of the moral, social and political attitudes that helped shaped its identity. The first recorded example of a psychologist acting as an expert witness in a court of law was in 1896 when Albert Von Schrenk-Notzing testified at the trial of a man accused of murdering three women. Drawing on research into memory and suggestibility he argued that pre-trial publicity meant that witnesses could not distinguish between what they actually saw and what had been reported in the press. A perceptual error coined retroactive memory falsification. Now what amazed me about this case, is that over a hundred years later the same issues are still being debated. For instance, a very similar argument concerning pre-trial publicity was raised during the trial of the infamous mass murderer Dr Harold Shipman. 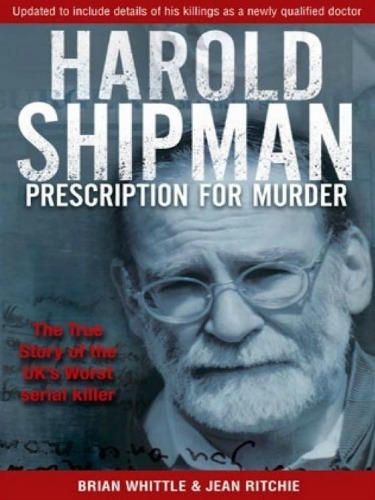 Dr Harold Shipman was a highly respected general (medical) practitioner who became the world's most prolific serial killer. The exact number of patients he murdered may never be known but conservative estimates but the figure between 200 and 300. In 44BC following the assassination of Julius Caesar the attending physician proclaimed that of the 23 wounds found on the body ‘only one’ was fatal. In the 5th century Germanic and Slavic societies were believed to be the first to put down in statute that medical experts should be employed to determine cause of death. In 1247 the first textbook on forensic medicine is published in China which among others things documents the procedures to be followed when investigating a suspicious death. In medieval England pressure from the church halted the practice of hanging women thought to be pregnant. A convicted woman could escape the death penalty if she ‘pleaded her belly’ providing a physician could prove that she was in fact pregnant. Inspired by the study of anatomy medicolegal textbooks begin to appear by the end of the 16th century. The 1887 coroners act ensured that an integral part of the coroners’ role was to determine the circumstances and the medical causes of sudden, violent and unnatural deaths. 1932 chair of legal medicine at Harvard was established. What these examples tell us is that the legal system embraces medical expertise. Some of the earliest references to the criminally insane can be found in Roman law, which by and large advocated leniency, maintaining that madness was a punishment in itself. The issue of madness and criminal responsibility was being debated as far back as the 13th century with prominent writers of the time arguing that the 'will to harm' must be evident within a crime and the lack of such a will among the mad excused them of responsibility. In 1603 Sir Edward Coke maintained that the madman 'did not know what he did', and as such did not actually display any criminal intent. This was important because form this point 'insanity' was judged exclusively in cognitive terms; namely did the accused know that what they were doing was wrong? So what does medicine and the law & historical perceptions of insanity have to do with the history of forensic psychology? Well, as demonstrated above, historically the legal system has embraced medical expertise, so it’s not really surprising, therefore, that legal issues relating to madness and insanity continue to be examined within a medical framework; hence the adoption of terms such as ‘disease’ of the mind and mental ‘illness’. Now when you add into the equation that the history of forensic psychology as a unique discipline is a relatively short one, it’s not difficult to understand why it has struggled to promote a clear identify for itself, and why it is often construed as the poor relation of medical and psychiatric opinion. Now this isn’t just conjecture or sour grapes because it’s not that long ago that psychologists’ in the UK were by definition subservient to medical practitioners. The National Health Service Act of 1946 provided medical officers with the services of psychologists’ and part of this service involved issues within a forensic context. Now because of the elevated status of medical opinion within the legal system psychological opinions or findings simply formed part of a medical report or a medical expert’s testimony. Psychologists were not best pleased with this, not least when they felt that the medical expert had misrepresented or failed to understand what the psychologist had said or concluded. Which if you think about it could have serious repercussions within a criminal trial. The main point I want you to take from this discussion is that because of developments within medicine, mental illness and the law, the history of forensic psychology, in particular its unique forensic contribution has been somewhat obscured. A great way to showcase this unique contribution, however, is to learn about the work of key historical figures and you can do just that via the following link.